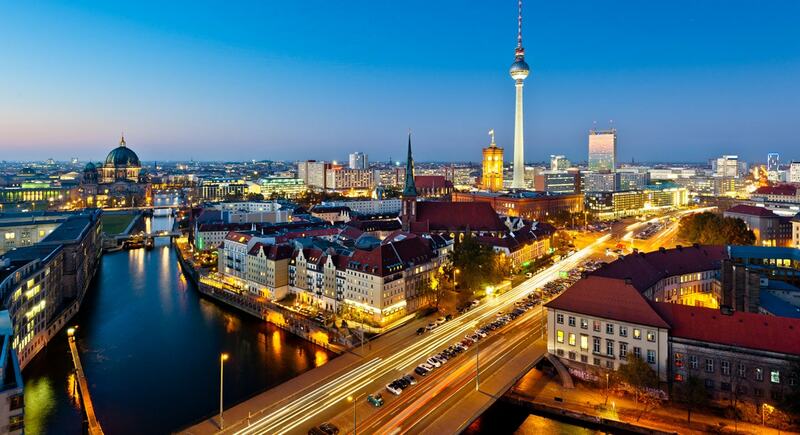 For those of you who don’t know: in January I moved to Berlin! I’m coming up to my one month anniversary of being here so I thought I would write something about it! In the beginning, it felt like one of the scariest things I have ever done. Being in a new city where I knew absolutely no-one could have been a huge recipe for disaster! Berlin is a dark and cold place this time of year. For a while moving here felt like a terrible mistake. But at the same time I felt enormous excitement at the possibilities and freedom open to me here. And the fantasy of being in a new unexplored place. I’ve travelled on my own quite a bit in the past which was always challenging in itself. But hopping from place to place is a very different challenge to moving to a new city for an extended period of time. Travelling in South America gave me a lot of self-reliance that I’m forever tapping into and grateful for. But while I was travelling there, I always had a feeling that if it got bad or I felt depressed I could move on. I could go to the next place, rekindle my excitement and leave my fears at the wayside. If needed I could constantly be reinventing myself. Here in Berlin my emotional life has been like a yoyo swinging back and forth between the two polar extremes of anxiety and excitement. I’ve realised that I should embrace these emotions. In fact my best times here are when I feel them simultaneously. An emotion I will call being Fearcited! Chills on the back of your neck. Heart rate raised. A stomach in knots. Your mind is shouting out “Don’t do it!” . “Go home!” Take the easy, safe option. Stay in bed where it’s warm and nothing can go wrong. But your body acts anyway. You find yourself almost robotically moving towards your fear without a second thought. It crops up when I’m on the edge of my comfort zone. When I’m doing new things that could go wrong. Things that could make me look like an idiot. If you’re just afraid or just excited then you have a problem. If you spend your time in the pits of anxiety because you’ve pushed yourself too far, you end up like a deer in the headlights. Paralysed. You can’t move. Doing anything is too much effort. Too scary. At the other extreme if you are only excited then you’re probably not pushing yourself far enough to try things that could go wrong. Things that could blow up in your face. It can be nice to live a carefree life. But I always feel that I’ll regret not chasing my dreams. That I’m missing out on taking life as an adventure rather than a fun fair ride. That I’m not making the most of this beautiful life I’ve been given. Being “Fearcited” is the sweet spot! It’s the place of growth. When you push yourself to be “Fearcited” there’s a good chance you will come out the other end as a new person. I like the word “Fearcited” because it sounds a little like “Farsighted”. And you feel “Fearcited” when you’re taking the long term view. I’m “Fearcited” when I do the things that are most important. The things I will look back on from my death bed and say “Wow that was something special”. Being in Berlin has helped me to realise that putting myself in situations where I feel “Fearcited” and then overcoming them is a pathway to growing myself as a human being. And I’m not the only one to think this. I’ve seen similar ideas pop up in a few places. It’s at the heart of Flow Psychology. This is the idea that human beings are at their peak when they are working so intently on something to the extent that reality, space and time seem to fade into the background. But we only get into this zone when we’re faced with adversity. There must be a challenge that is just the right level of difficulty. Not too much so that we are paralysed into inaction. But just enough so feel like we’re doing something meaningful. Something new. This is what it is like to be “Fearcited”. Another interesting idea is Deliberate Practice which I read about in the research of Prof. Anders Ericsson. He asks the question how do the best of the best in their fields make it to the top. How did Roger Federer become the best tennis player in the world? Or Magnus Carlsen reach the pinnacle of chess? The answer: they practice what they find difficult. They search for players who are better than them to learn from. They don’t sit back and enjoy their victories but are alway striving for more. They become accustomed to being “Fearcited!” So it seems that if you can learn to live with this feeling then you will go far. So my thought for today. Find the things that you are afraid of but also excited by. Dive in! Feel “Fearcited”.